Outrage in the Knesset: MKs from different factions were shocked today to receive in their mail at the Knesset copies of the New Testament Bible. 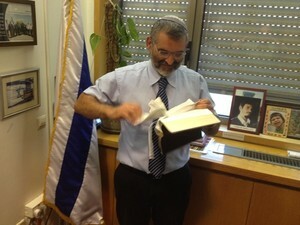 The Christian holy book was sent to all members of the Israeli legislature with a blessing. The New Testaments were sent by Viktor Kalish, director of the group, “Holy Scripture in Israel,” which specializes in distributing Christian religious texts. The shipment caused an uproar in the Israeli Knesset and MK Michael Ben Ari of the National Union Party tore the New Testament apart and threw it in the trash. MK Tzipi Hotovely of the Likud Party announced that the Chairman of the Knesset will prevent the spread of Christian missionary literature in the Knesset: “it is forbidden to deliver to the Knesset missionary materials,” she said. Is The Talmud Defensible As A Holy Text? 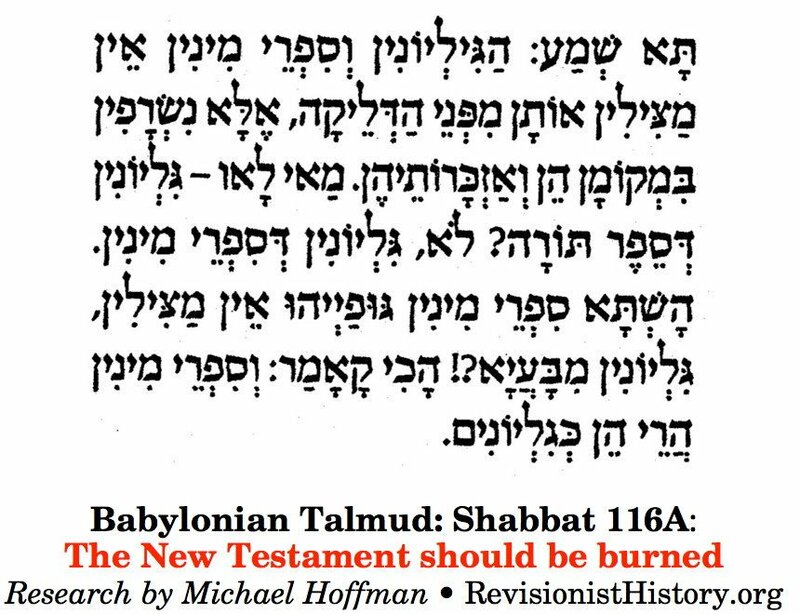 EVIL TALMUD SHOULD BE BURNED ! Talmud is the most lucipherian and racist book in the world. It reads among others that Jesus Christ will be burning in hell in his own excrement all eternity. This entry was posted on October 1, 2016 by HKW in Uncategorized and tagged Israeli legislator vandalizes the New Testament, Jews, Michael Ben-Ari, New Testament, Religion.